ISLAMABAD: Senior journalist Nusrat Javed and Mushtaq Minhas have made a comeback to Aaj TV after quitting Dunya recently where they hosted the programDunya Meray Aagay. 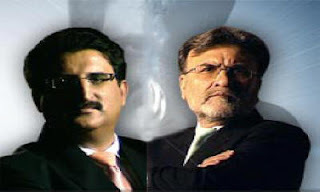 JournalismPakistan.com has learnt that Nusrat signed the contract on Friday (January 21) and joins in as Director News and Current Affairs. He will also be hosting a program along with Mushtaq four days a week. During their previous stint with Aaj, the duo used to host the popular talk showBolta Pakistan. That program is currently conducted by Salim Bokhari, who is also the Editor of The Nation and Orya Maqbool Jan.